Rainier Fruit Company grows and ships fresh eating gourmet apples worldwide. In addition to America’s favorites, we supply various types of apples including one brand grown and sold exclusively by us. Unknown. Discovered as a chance seedling in Gleed, Wash. The new all-purpose apple, Lady Alice® is delightful for snacking and a good choice for cooking. Honeycrisp apples have a yellow-gold background generously brushed with vibrant red. Characteristic shallow dimples and numerous small lenticels cover its surface. Lenticels are the pores of the apples that allow the exceptionally juicy and crisp texture. Maturity affects this apples good taste. Generally super sweet, the flavor can vary from mild to fairly robust, depending on its stage of growth. The Honeycrisp apple is a popular snacking apple, but it is also suitable for baking, sauces, or adding into salads. The JAZZ® apple came to be when curious growers in New Zealand married the Royal Gala to the Braeburn. Add the Braeburn’s lively zip to the Royal Gala’s sassy sweetness and what do you get? An apple called JAZZ®. and one that comes by its extra dose of attitude naturally. A refreshing choice for salads and snacking. Envy® is a drop dead gorgeous apple, with a full figured, intensely red skin, which belies its parentage as a Royal Gala/Braeburn cross. It is lightly russeted, which gives it a natural look, and has creamy, white flesh. The Envy® apple eats as fantastically as it looks, with a crisp bite, and deliciously sweet flavour. Best for salads and snacking, but can also be used for baking or cooking. Pacific Rose® apples gets its signature pink hue from Splendour (a heritage apple variety from New Zealand). Its unique taste proﬁle combines both parents’ ﬂavors to perfection. Refreshing, sweet and crisp—the distinctive rosy-pink blush makes a “too pretty to resist” color break for your apple set. Firm, crisp flesh and a unique, tangy-tart flavor are characteristic of this apple. Snackers and bakers give the Pink Lady® apple high marks in consumer tastings. Crisp fall nights bring on the bright pink color that gives the apple its name. This sweet-tart apple is a snacking favorite, but has a good texture for baking as well. Originally developed in Japan in the late 1930s and named after the famous Mt. Fuji, U.S.−grown Fujis began appearing in markets in the 1980s. The Fuji apple is a cross between Ralls Janet and Red Delicious. This variety´s popularity is skyrocketing, thanks to its sweet flavor and firmness. Fuji apples are bi−colored, typically striped with yellow and red. This very sweet and crisp apple is excellent for snacking, but makes a great baking apple because it holds its texture. Fuji apples are also a good choice for use in salads. Pinkish-orange stripes over a yellow background are the signature of this crisp, aromatically sweet, snappy Gala apple. Galas have gained popularity among consumers in the past 15 years and are now one of the most popular apples in the United States. The Gala is very aromatic and sweet, making it a perfect choice for snacking or salads. The Granny Smith apple is green in color and extremely tart. They are rounded with a smooth contour and vary in color from a medium to dark green, sometimes with a slight blush. Believed to be descended from French crab-apples cultivated by Australian Maria Ann “Granny” Smith. 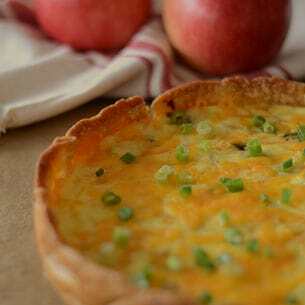 Granny Smith apples are a great choice for snacking, salads, pies, and freezing. The Golden Delicious is not related to the Red Delicious, but was introduced by the same family, the Stark Brothers. It was discovered in 1890 in Clay County, West Virginia as a chance seedling. Golden Delicious apples are highly aromatic with a sweet, spritely flavor and a crisp, juicy flesh. Unknown. Possible parents are Golden Reinette and Grimes Golden. The Golden Delicious is the original all-purpose apple. It is suitable for snacking, salads, pies, sauces, and freezing. It is considered an excellent apple for pies. This juicy, orange-tinted apple was developed in a New York apple breeding program and has a tangy-sweet flavor. Washington’s warm dry summer and cool fall ensure that the delicate flavor develops fully for September harvest. The Jonagold apple is a tasty snacking apple, but can also be used for cooking and pies. Red Delicious apples are the most widely grown variety of apple in the world. They have firm,white or cream white flesh that is juicy, aromatic and sweet tasting. The heart-shaped fruit is bright red and sometimes striped. This apple is crunchy with a mildly sweet flavor. Unknown. Discovered as a chance seedling on the farm of Jesse Hiatt and was originally known as Hawkeye. The Braeburn apple is rounded and sometimes elongated with smooth skin. Color can vary from greenish-gold with red sections to nearly solid red over a yellow background. The rich, sweet-tart, spicy flavor is high-impact. Aromatic, juicy and crisp, this apple is very firm. Unknown. Discovered as a chance seedling. Probable parents are Lady Hamilton and Granny Smith. This multipurpose apple is suitable for everything from baking to salads to freezing. Cameos have a creamy yellow background with red striping. Look for the variety’s characteristic white spots on the skin. Flavor is sweet-tart with a zingy crunch and texture that holds for a long period of time. Unknown. Discovered as a chance seedling in Dryden, Wash. The Cameo Apple can be used for nearly every task, but are best for salads, snacking, and baking. There is overwhelming scientific research proving apples promote good health. Apple nutritional benefits include numerous vitamins, minerals, and nutrient. Some of the latest research indicates that eating apples every day may help prevent illnesses such as cancer and heart disease. To maximize your apple-eating experience, follow these simple tips for selecting, handling, storing and preparing fresh apples. An apples skin should be shiny, dull appearing apples won’t be crisp and tasty. Select apples that are bruise-free and handle them gently to prevent bruising. Select apples that are firm to the touch. The refrigerator is your friend! Though it might be tempting to display apples in a fruit bowl, it is best to store your apples in the refrigerator to slow ripening and maintain flavor. A properly refrigerated apple keeps longer. Store your apples away from strong smelling foods to prevent them from absorbing unpleasant odors. Wash your apples in cool water before serving. When serving sliced or diced apples, coat them in a mixture of one part lemon juice to three parts water or in vitamin C-fortified 100% apple juice to reduce browning. 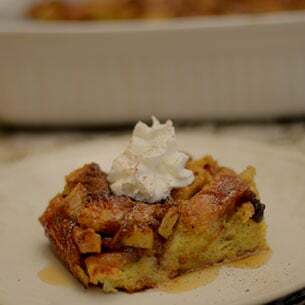 Apples are a great snack, but are the perfect ingredient to many great dishes. Get inspiration here.